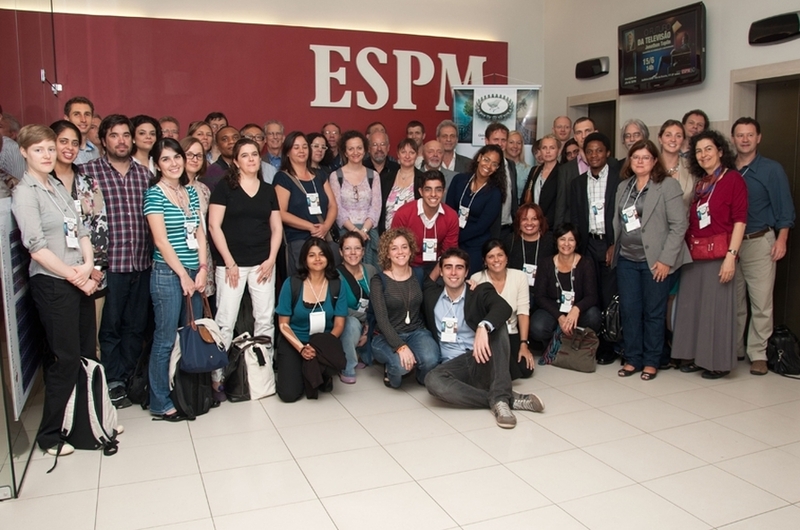 The Inaugural Global Research Forum on Sustainable Production and Consumption Conference was held from June 13-15, 2012 in Rio de Janeiro. The theme was: Global and Regional Research on Sustainable Consumption & Production: Achievements, Challenges, and Dialogues. The two and a half-day workshop was divided between a focus on the production of SPC research and its communication and application in practice. (2) research use and practices engaged in the application of research concepts and findings in policy making and advocacy, education, advocacy and business. Invited participants submitted papers before the workshop. Scientific / Academic papers were invited which review (part of) the research field, and take stock of what has been achieved in terms of research from a specific interdisciplinary or regional perspective. Practitioners’ (policy makers, educators, civil society and business representatives) papers were invited to present their views, perspectives, and questions regarding the role of research as well as the obstacles in translating knowledge to action. Keynote speakers included: Chee Yoke Ling, Jacqueline McGlade, Tim Jackson, Peter Victor and Adrian Smith. See their bios (and those of the participants) here. For the two and a half day workshop a format was sought that avoided lengthy presentations (participants are asked to read the papers in advance); and that stimulated interactive dialogue about what has been learned and what new research is needed; and about challenges and strategies on how to bridge practice and research. Discussions also considered regional, (trans)disciplinary, and policy perspectives. The GRF-SPC wishes to thank the conference note takers: Phelipe Marmore, ESPM; Flavia Mattos, ESPM; and Maria Elisabeth Goidanich. Looking for answers. During the past two decades an enormous amount of research has been carried out on a wide spectrum of issues concerning SCP. The workshop will try to take stock of this research by asking the question: what have we learned about creating sustainable production and consumption patterns? What works? Where does it work? When does it work? Trends, crises and research needs. The present global system of consumption and production is resulting in major crises in the global environment, economy and people’s lives. Solutions and strategies are needed – which require appropriate knowledge and research. Integrative methodologies. Production/consumption systems are multidimensional and their study includes sociology, anthropology and cultural studies, technologies, economics, psychology, communications, education, and politics. We need to explore interdisciplinary strategies and methodologies. Replication mechanisms. A wide range of tools and guidelines has been developed for businesses and policy-makers in the field of SCP. How to take these from the shelf and get them mainstreamed? How to scale-up niche successes and make them business as usual? Lessons learned from various regions are welcome. Beyond behavioral incentives. Behavioral incentives for change through technology, policies and educational programs are important, but generally not sufficient to bring about systemic changes. We need to consider wider frameworks including social movements and historical transitions. Alternative systems. Experiments and experiences with alternative systems of provisioning, economics and lifestyles need to be evaluated and possibly be mainstreamed. Translation gap. A lot of research has been done in the last years, but not all of it is available and applicable. How to bridge the “translation gap” between research and action? Growth model. How do different regions and stakeholders view the dominant economic growth paradigm? How are alternatives as steady state economy and degrowth framed in various regions? What are some of the key insights with regard to developed and developing countries? Well-being, lifestyles, and livelihoods. Issues of well-being, lifestyles and livelihoods have entered the research agenda next to sustainable consumption and production. Transitions. What have we learned from the growing body of knowledge about transitions, both socio-technical and socio-cultural? Global and national sustainability goals. How can rethinking global and national goals for sustainable development, such as the Millennium Consumption Goals (MCGs) and the Sustainable Development Goals (SDGs) contribute to systemic changes in consumption patterns of the richest 20% of the world population, and how could they contribute to the MDGs, poverty alleviation, equity, and sustainable development paths for the world’s poor. What are the implications for research? Much of this research is scattered across various academic journals, reports, and grey literature as well as across geographic regions. This workshop began to bring this literature and experience together through review papers from various perspectives, make this available to practitioners and the wider public, including RIO+20 participants, and promote support for new research based on practitioners’ research needs. Mortensen and Stenbaek: EEA Report "2012 Update: Consumption and the Environment"
Dendler: Sustainable Meta-labeling: An Effective Measure to Facilitate More Sustainable Consumption and Production?